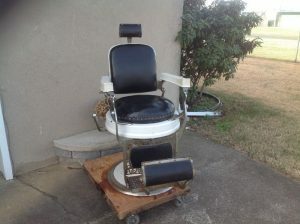 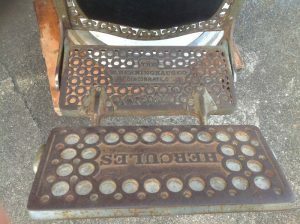 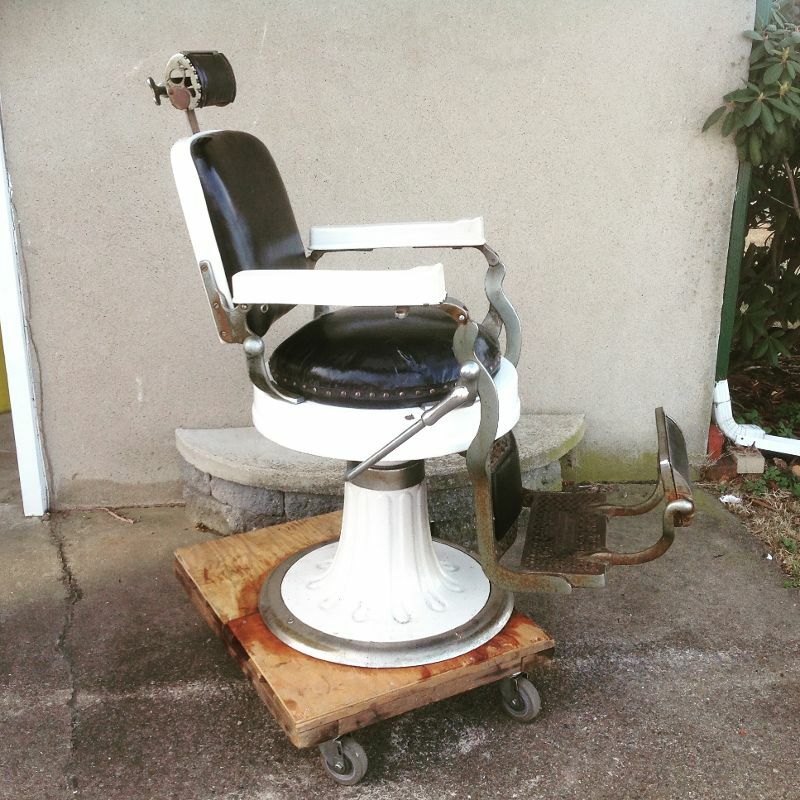 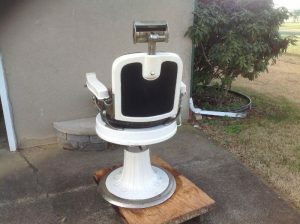 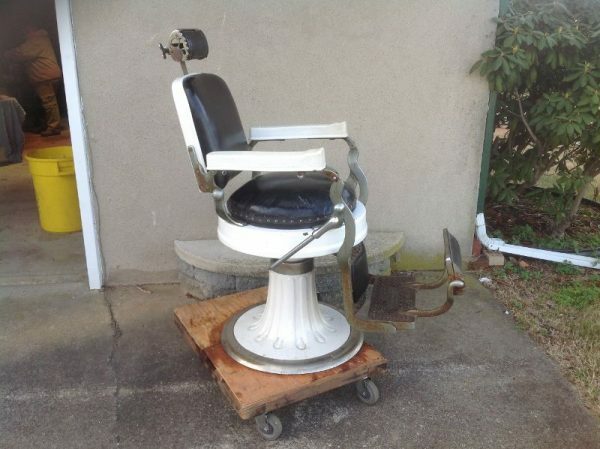 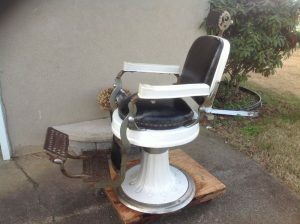 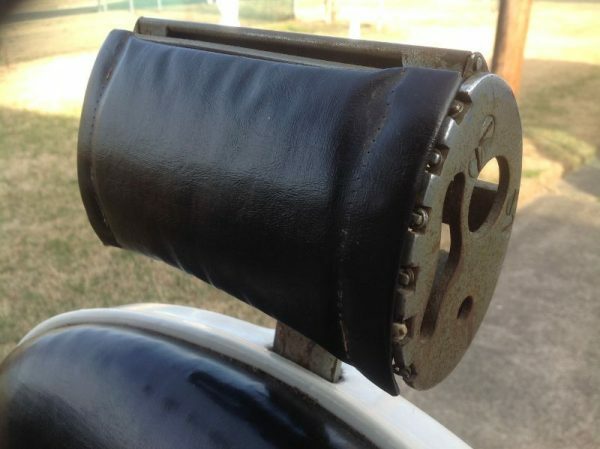 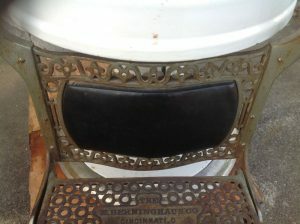 Antique Hercules barber shop chair in as found working condition complete with head rest. 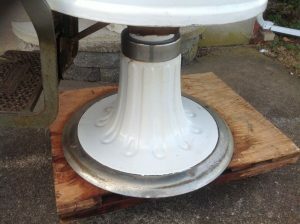 Porcelain in very good condition. Overall the chair needs only minor upholstery work on seat and clean up, to make this a real show stopper. 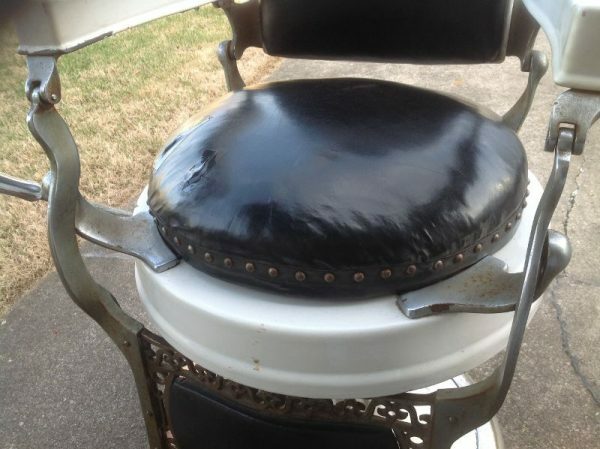 Round seat chairs are harder to find…….